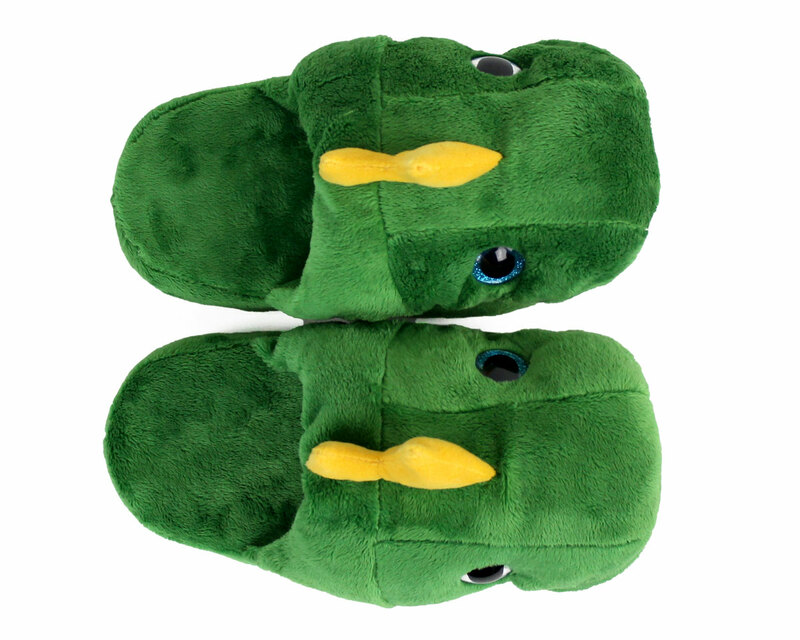 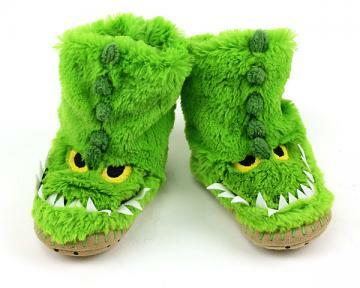 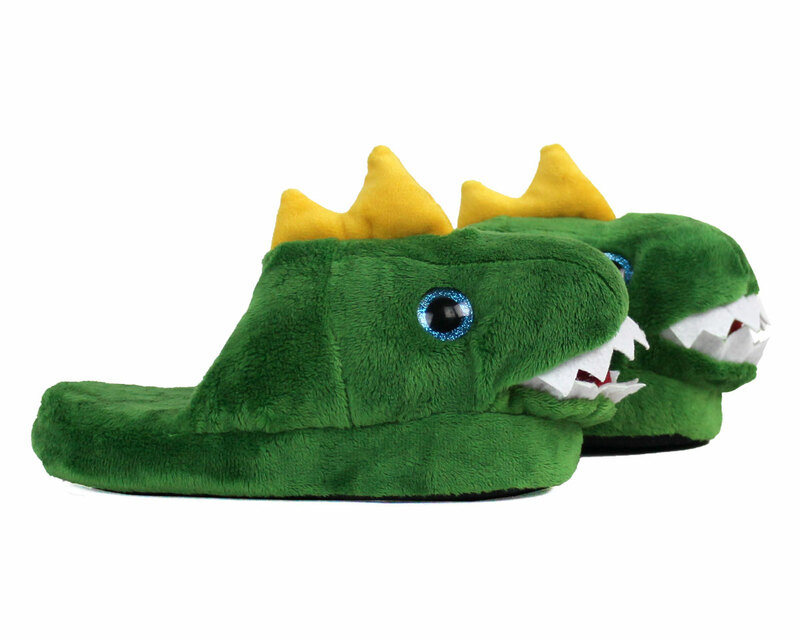 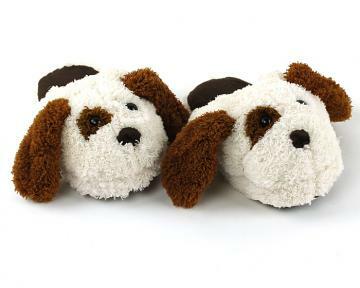 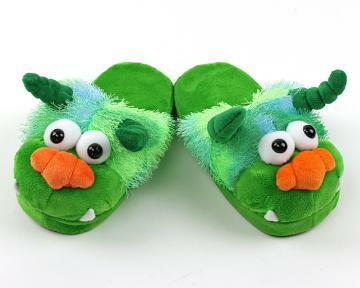 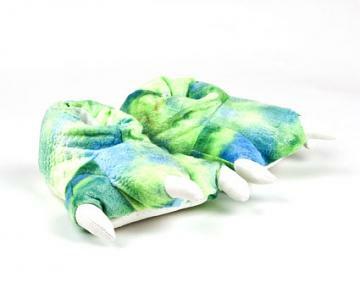 Your little paleontologist will really dig these Dinosaur Slippers! 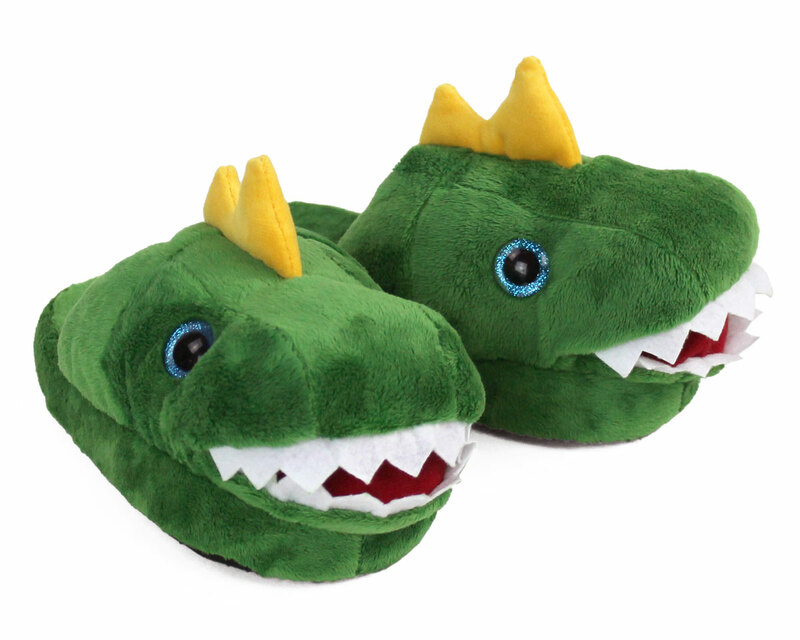 With fearsome felt teeth, yellow spikes, and sparkly turquoise eyes, our cuddly-yet-scary Dinos are sure to delight! 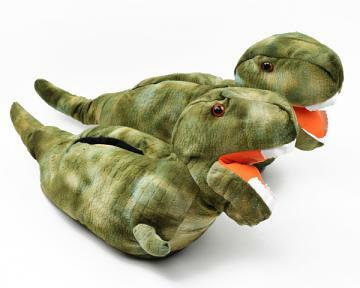 Rawwwwwrrr! 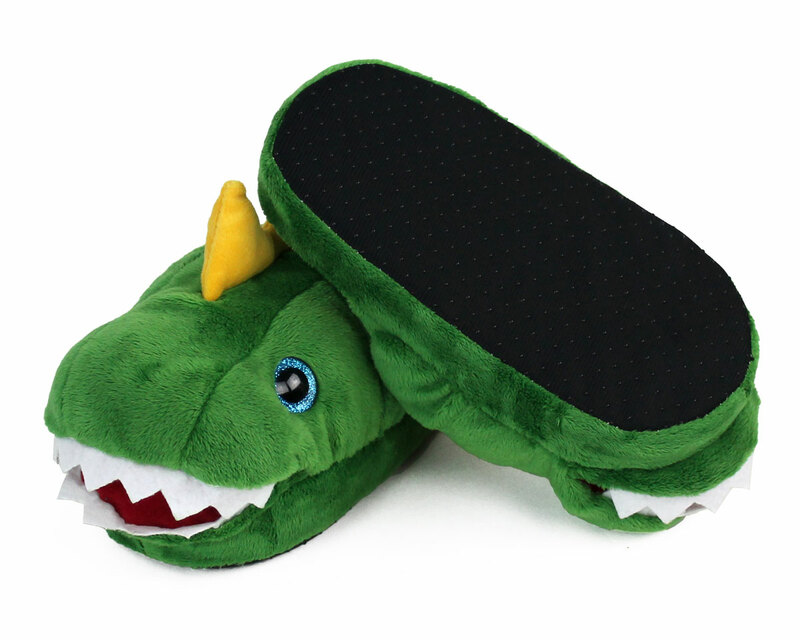 Made with soft green plush, foam footbeds, and non-slip grips on soles.